Just as warm as their winter boots and just as stylish as their fashion boots, the Sorel Out N About Slide Slipper is the best of both worlds. 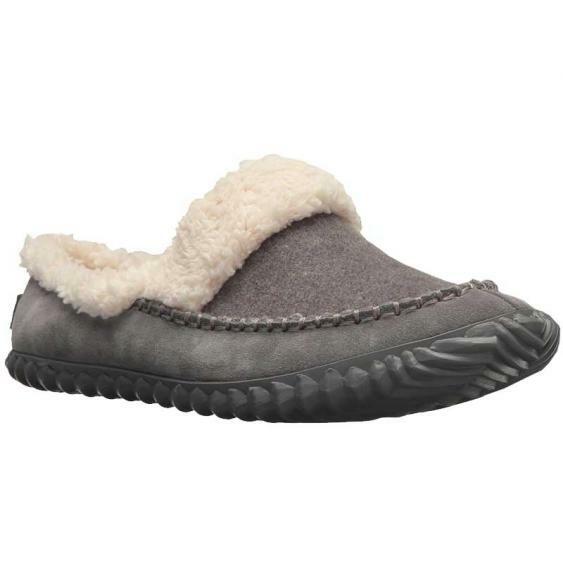 Featuring a suede upper and a cozy faux fur linging, this women's slide slippers makes the perfect companion for pajamas and hot chocolate. The removable molded EVA insole is fleece covered and lends extra cushioning and support while allowing for custom orthotics. The molded vulcanized rubber outsole of the Sorel Out N About Slide Slipper provides reliable traction and durability, even if you need to slip out in the snow to grab the mail.